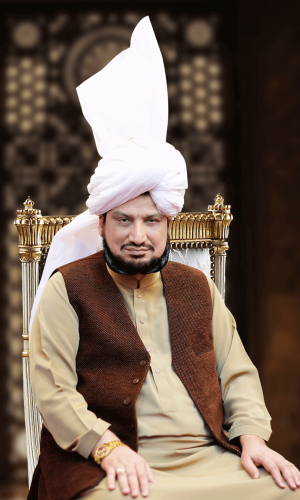 Sultan-ul-Ashiqeen Hazrat Sakhi Sultan Mohammad Najib-ur-Rehman is the 31st Shaikh of Sarwari Qadri order. This order originates from Prophet Mohammad and reaches umma through Ali ibn Abi Talib and then Shaikh Abdul Qadir Jilani. Eventually it reached Sultan Bahoo rehmat-ul-Allah-alayh who significantly spread it in the sub-continent. Presently, Sultan-ul-Ashiqeen Sultan Mohammad Najib-ur-Rehman is its spiritual leader. He got the Trust of Faqr from Sultan-ul-Faqr VI Sultan Mohammad Asghar Ali rehmat-ul-Allah alayh. Sultan-ul-Ashiqeen Sultan Mohammad Najib-ur-Rehman belongs to an Arain family. The genealogy of Arains traces back to Shaikh Saleem al-Raee’s son Shaikh Habib al-Raee. Shaikh Haleem al-Raee’s genealogy meets genealogy of Prophet Mohammad sall Allahu alayhi wa’alihi wasallam six steps back at Loee. Shaikh Habib al-Raee was a great Saint. He got beneficence from the sacred Companion Salman the Persian. His son Shaikh Haleem al-Raee came to India from Arab with Mohammad Bin Qasim in order to preach Islam. Afterwards he settled in India and his progeny got the name Raeen which changed to Arain with passage of time. Before partition of Sub-continent, Sultan Mohammad Najib-ur-Rehman’s ancestors lived in Madhan village, Jalandhar India. After partition, they migrated to Pakistan sacrificing many lives and all their property. In Pakistan, they initially settled in Shahkot, Lyallpur (present Faisalabad). Then Sultan Mohammad Najib-ur-Rehman’s father Abdul Hameed shifted to Bakhshan Khan, Tehsil Chishtian, District Bahawalnagar, Pakistan. Sultan-ul-Ashiqeen has been chosen for the treasure of Faqr since eternity. Hence, the Divine light is radiant from his countenance since birth. Whoever saw this sacred child, could not take his gaze away from his luminous face. A Fakir often used to visit his parents. When he saw Sultan-ul-Ashiqeen for the first time, he was amazed to see his celestial countenance. He told his mother, “Allah has chosen your son for a sacred purpose and inscribed special destiny on his forehead. Hence, he will spend his whole life under the supervision of Shaikh Abdul Qadir Jilani. He will prepare and train your son spiritually to execute that sacred responsibility”. On another occasion, he said, “Your son is a leader. Wherever he would go, he will lead”. Hence, Sultan-ul-Ashiqeen’s tough training started from childhood as he had to face extremely arduous conditions throughout his childhood and youth. Since childhood, Sultan Mohammad Najib-ur-Rehman was anxious about knowing the reality of Islam. Hence, he kept pondering over signs of Allah and message of Prophet Mohammad. He was four years old when his religious and worldly education started. His father was not stable financially. Sultan-ul-Asiqeen is the eldest son of his parents as well as extremely caring and responsible person. So, in order to support his family, he started earning by doing various jobs from very small age. For this purpose, he had to leave his education every now and then. Owing to his hardworking nature, he not only completed his studies despite all odds but also excelled as a student. He passed his matriculation from Multan Board in 1978. Then, in 1983, he did his graduation with first division from Bahauddin Zakariya University, Multan. He was good player of hockey during student life and participated in declamations as well. One day, he came across a strange man who revealed, “Period of Allah’s beneficence has begun for you. Remain steadfast on your inner state.” On hearing about his esoteric condition from an unknown person, Sultan-ul-Ashiqeen got quite surprised and inquired him who he was. The man replied, “I am the one who helps people and shows them ‘the way’. I have come just to see you”. Saying this, he moved ahead. After a while, Sultan-ul-Ashiqeen tried to search him but he seemed to have disappeared. He described the man’s appearance to the people around but no one had seen any such man. Hence, Sultan-ul-Ashiqeen continued his search for Truth through mystic struggles and devotions. He specifically made Fatimah-tuz-Zahra his mediator to present his pleas in court of Holy Prophet. Thereupon, Sultan ul Ashiqeen humbly bowed his head at the feet of Holy Prophet. The Holy Prophet replied, “Indeed! I have got the recommendation and accepted it. He is my spiritual son as well, but whose legacy we should grant him?” Hasan replied, “Respected mother has requested to grant him my legacy.” Then, the Holy Prophet held Sultan ul Ashiqeen from shoulders and said, “You are my spiritual son and heir. I will surely make you my manifestation and an era will gain my beneficence through you. You have pleased my beloved daughter so I am pleased with you.” Then, Holy Prophet stretched his hands towards him. Hence, he took oath at the hands of Holy Prophet. Sultan Mohammad Najib-ur-Rehman is the best living example and embodiment of Divine Love. Since beginning, he was on the highest pedestal of Divine love and his status is still elevating every moment continuously. He stepped into the arena of love and met every trial successfully due to his hard efforts and true intentions. By virtue of his intense passion, he won all challenges and crossed all obstacles in the way of Divine love. Sultan-ul-Ashiqeen Sultan Mohammad Najib-ur-Rehman held the throne of Divine guidance immediately after death of Sultan Mohammad Asghar Ali. It is because this throne never remains vacant. A soon as the Divine Universal Man (al-Insan al-Kamil) of an era dies, the next one ascends it. Just like in the physical world, the throne of a king never remains vacant. First and foremost favour of Sultan-ul-Ashiqeen upon seekers of Allah is the invocation (zikr) itself. In the past, spiritual guides used to give invocation of Ism-e-Allah Zaat to disciples in four stages. That is; AllaHoo (اَللّٰہُ), Lillah (لِلّٰہ), LaHoo (لَہُ) and Hoo (ھُو). They got Sultan-ul-Azkar (the sultan of invocations) i.e. Hoo (ھُو) after passing all the basic stages. It was long process and required a lot of time and patience to attain Divine closeness. Usually, most of the disciples could not reach this highest level. Hence, only few chosen seekers would get the Sultan-ul-Azkar. However, Allah has blessed Sultan-ul-Ashiqeen with such great powers that he gives all his disciples the invocation of Sultan-ul-Azkar Hoo (ھُو) on first day of oath. He also gives them printed or pure gold Ism-e-Allah Zaat for contemplation (tasawur). Hoo(ھُو) is the extreme and most elevated invocation of Mystics. Sultan-ul-Ashiqeen Sultan Mohammad Najib-ur-Rehman is perfect spiritual guide of Sarwari Qadri order. He is the man of Divine Essence (Sahib-e-Musamma Murshid) as he perfectly manifests all Divine attributes and Essence. He has undoubtedly got entire qualities of perfect spiritual guide described by Sultan Bahoo. His seekers, whom he has spiritually sanctified, witness all the Divine attributes and Divine light manifesting from him. So much so, they are ready to bear witness in both worlds that he is truly the Universal Divine Man. Sultan-ul-Ashiqeen has laid the foundation of Tehreek Dawat-e-Faqr, so as to spread the message of Faqr in more organized manner. It is a registered organization since October 2009. It is purely a spiritual organization, completely non-governmental, non-political and non-sectarian. Regardless of any sect, group or school of thought, it welcomes all Muslims who seek closeness and vision of Allah. Tehreek Dawat-e-Faqr maintains and promotes teachings of Sultan Bahoo and is working all over world through various media of communication. Its main objective is to invite Muslims towards Faqr which is the pride of our Holy Prophet. It is the path of spiritual elevation which leads to vision of Allah and presence of Mohammadan Assembly. Different members of Majlis-e-Shura are heads of these departments. Moreover, there is a management committee (Intazamia) which supervises all these departments and entire matters of organization. The members of management are elected through voting. There is also a General Council. Tehreek Dawat-e-Faqr has regional offices all over Pakistan. Heads and workers of these offices are chosen from devoted disciples of Sultan-ul-Ashiqeen living in these areas. He often visits these offices and supervises their activities. Khanqah is the place where seekers of Allah practise invocation (zikr) of Ism-e-Allah Zaat day and night. Here, they get the company and guidance of perfect spiritual guide to purify their souls. Hence, get enriched with closeness of Allah. Sultan-ul-Ashiqeen has established khanqah for his disciples, exactly in the same manner as all Saints did. The offices of Tehreek Dawat-e-Faqr, Sultan-ul-Faqr Publications and Digital Productions are also in this khanqah. It also has a computer lab. Sultan-ul-Ashiqeen Sultan Mohammad Najib-ur-Rehman meets his disciples every Sunday in khanqah. Also he graces khanqah with his presence every now and then to supervise projects of Tehreek Dawat-e-Faqr for spreading Faqr. Trained disciples of Sultan-ul-Ashiqeen are working day and night in this khanqah under his supervision to spread message of Faqr through magazine, books, websites, social media, personal meetings and lot more. Doors of khanqah are open for everyone day and night without discrimination of any sect, caste, creed or status. However, only male disciples can enter the khanqah. Female seekers of Allah attend the gathering held at his house every Sunday. On Friday, 1st December, 2017 (12 Rabi-ul-Awal 1437 H) Sultan ul Ashiqeen announced the project of new khanqah and a mosque. He requested the disciples to take part in it with great zeal. The construction will start soon, Inshallah. Sultan-ul-Ashiqeen has established a department of invitation and preaching (dawat-o-tableegh) to propagate the teachings of Faqr among masses. Preachers get special training for this purpose. These preachers are busy in spreading Faqr and inviting people towards it, all over Pakistan. The articles published in this magazine are also translated in English and uploaded on all websites of Tehreek Dawat-e-Faqr in the form of blog posts. Moreover, this department is publishing latest translations of Sultan Bahoo books in English as well as Urdu. Sultan-ul-Ashiqeen himself has written quite a number of books to benefit common Muslims. All his books reveal the real and esoteric aspect of Islam as well as promote the teachings of Saints. Sultan-ul-Faqr publication has published English translations of many of his books as well. All these books are present on the website www.sultan-ul-faqr-publications.com. These books can be read online and downloaded as well. As it is non-profit organization, the aim of Sultan-ul-Faqr Publication (Registered) is not to market or sell the books. Hence, to allow people to understand true spirit of Faqr, a lot of sources have been provided to read books. Detail of his books is in the BOOKS section. This department has also made special website by the name of www.sultan-ul-ashiqeen.com. This is a detailed website based upon Sultan-ul-Ashiqeen Sultan Mohammad Najib-ur-Rehman’s life, struggle and his books. This website is informative for his disciples and devotees who wish to know more about him. Apart from that, numerous facebook pages under the flag of Tehreek Dawat-e-Faqr exist on famous Saints, books and concepts of Faqr. This department is also running following audio and video channels on Video Social Media. Audios and videos of Hamd (praise of Allah), Naat (praise of Holy Prophet), mystic poetry of spiritual guides of Sarwari Qadri order, poetry of Iqbal, all 201 couplets of Sultan Bahoo are prepared and uploaded by this department. It also prepares and uploads videos of all events celebrated by Tehreek Dawat-e-Faqr under presidentship of Sultan-ul-Ashiqeen as well as videos of his preaching tours. Moreover, it is also recording and uploading lectures regarding teachings of Faqr. Sultan-ul-Ashiqeen Sultan Mohammad Najib-ur-Rehman celebrates Milad of the Holy Prophet on 12th Rabi al-awwal every year in a splendid way. People from all over Pakistan specially attend and participate in it with great zeal and zest. Sultan-ul-Ashiqeen’s disciples celebrate grand Mawlid on 21st March every year with great enthusiasm as it is the day of transference of Divine Trust to him. Apart from these two grand gatherings, commemoration of martyrdom of Hussain ibn Ali on 10th Moharram; death anniversary (urs) of Shaikh Abdul Qadir Jilani in Rabi ath-thani, Sultan Bahoo in Jumada ath-thani and that of Sultan-ul-Faqr VI Sultan Mohammad Asghar Ali in Dhul al-Qadah are all celebrated with a lot of enthusiasm and grandeur. Large number of people from all over the country attend these events and gain blessings of these Saints through Sultan-ul-Ashiqeen. Tehreek Dawat-e-Faqr arranges a grand langar (special food for visitors) on these events. Hoo is Sultan-ul-Azkar (king of invocations). Whoever annihilates in Hoo is ‘the Sultan’. This title means ‘reflection of al-Ghawth al-Azam Shaikh Abdul Qadir Jilani’. Sultan-ul-Ashiqeen got this esteemed title as he revived true Islam in this age of sectarianism just like al-Ghawth al-Azam did. Way – Love conquers the world. His principle – Perpetual work with perfect certainty. Allah has blessed Sultan ul Ashiqeen with a very kind and soft heart. He cannot see anyone in pain and shares the sorrows of his disciples. He is so kind towards his disciples that each one of them feels that he loves him the most. Sultan ul Ashiqeen forgives the mistakes of his disciples no matter how big they are and makes them learn from mistakes. Hiding others’ faults is also one of his special attributes. He sagaciously makes the disciples aware of their shortcomings and teaches them how to improve themselves. Generosity and contentment are the distinguished attributes of Sultan ul Ashiqeen Sultan Mohammad Najib-ur-Rehman. Height of his contentment is that he wishes nothing for himself and is happy in whichever condition Allah keeps him. While, extremity of his generosity is that he has sacrificed his each and every possession in the way of Allah. Moreover, now he is distributing his spiritual treasures i.e. the treasure of Faqr among the seekers of Allah most generously. Whoever truly seeks this treasure and makes a little effort for it, he confers it upon him immeasurably. Ism-e-Allah Zaat is, in fact, the Divine Essence and is specific for His Divine Self. 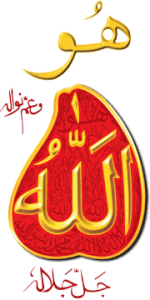 Like Allah Himself, His name is also unprecedented, peerless and unique because of its marvels, astonishing essence and meaningfulness. Everyone has a name which is different from his essence. But since Allah has no partners, therefore, He is one and only in His name and Essence. The sustenance for human soul is the luminosity of Ism-e-Allah Zaat. When the soul gains this sustenance, it is blessed with the sight to have Divine vision. By invocation and contemplation of Ism-e-Allah Zaat, seeker reaches supreme stations of Divine union and presence of Mohammadan Assembly. It is not possible through any other worship or invocation. These are the highest spiritual stations. Contemplation of Ism-e-Allah Zaat is the source and treasury of all the spiritual knowledge. It is important to perform the invocation of Ism-e-Allah Zaat under the guidance and supervision of perfect spiritual guide. He is the one who not only knows the secrets of Ism-e-Allah Zaat but also possesses full command over its contemplation. Furthermore, he should be the man of Divine Essence. Personal name of Allah (Ism-e-Allah Zaat) and the sacred name of Mohammad (Ism-e-Mohammad) are not just names. Rather, they are their sacred Essence. Their secret reveals only if, during contemplation, the seeker believes that he is beholding the Essence and not just names. Ism-e-Allah Zaat اَللّٰہُ is the greatest name of Allah i.e. the Ism-e-Azam. While, Ism-e-Mohammad محمد is the straight path. In path of Faqr, whoever will contemplate Ism-e-Mohammad will in fact be seeing the sacred self of Prophet Mohammad. Satan is as afraid of Ism-e-Azam and Ism-e-Mohammad as an infidel is of saying creed of Oneness of Allah. Ism-e-Mohammad is entirely the Divine compassion and beauty. Allah blesses the seeker with his spiritual goal during contemplation of Ism-e-Mohammad or Ism-e-Allah Zaat. The secret of Hoo (ھُو) i.e. the Divine Essence does not reveal without the invocation of Ya-Hoo. Unless a person reaches the level of Hoo (ھُو), he can neither recognize Allah nor Prophet Mohammad. Ism-e-Allah Zaat is that mirror in which Almighty Allah sees Himself. The person who encompasses himself in Ism-e-Allah Zaat becomes a symbol of Hoo (ھُو). Thus, he represents the Essence and attributes of Hoo. Through invocation of Hoo (ھُو), the seeker progresses in the levels of invocation. However, Hoo (ھُو) remains the same from beginning till end. The best of all invocations is the invocation performed within oneself secretly (zikr-e-khafi). It blesses the soul with inner peace. Faqr is the ardent Divine love. Faqr has nothing to do with the genealogy. There are many Saints present in the world in one era. Every Saint is at the footsteps of a particular Prophet. Of all, only one chosen Saint is on the footsteps of Prophet Mohammad. That Saint is the Universal Divine Man, leader of his time and the absolute slave of Allah in his era. He is most superior in status among all Saints and is al-Ghawth (highest rank in Sufi hierarchy) of his era. Ism-e-Allah Zaat is the Lord of all Divine names and attributes, hence the Lord of all Lords. The manifestation of Ism-e-Allah Zaat is the Universal Divine Man. The Universal Divine Man knows the secret of reaching the reality of Divine name اَللّٰہُ and the Divine Essence. The inward of Universal Divine Man is the place where Divine lights of Essence manifest. Its vastness is beyond explanation and imagination. The Universal Divine Man becomes the ultimate manifestation and mirror of Allah. This mirror reflects the Divine lights of Essence, the Divine attributes, names and the Divine actions. He adopts all the Divine attributes and morals and becomes their comprehensive representation. Attaining true knowledge of the Book (Quran) and wisdom is not possible without the guidance of perfect spiritual guide. It is he who saves a devotee from the scams of Satan and the inciting innerself. Eventually, takes him close to Allah, the ultimate shelter. Common people have not even heard the name of this mystic way and knowledge let alone becoming adept at it. In the path of Faqr, guidance of the perfect spiritual guide is pivotal. However, one should be aware of thug and fake guides. Those who set to the journey with sincere intention to search Allah are safeguarded from fake guides. Allah, in Whose search they have set out, Himself protects them, and those protected by Allah Himself cannot be misguided. In maelstrom of ignorance surrounding both the world and hereafter, perfect spiritual guide is beacon of hope for seeker. He steers the wobbling boat of seeker’s life, overcoming the odds and ferocity, safely to shore (destination of Divine closeness). Without the guidance of perfect spiritual guide, attaining to the stations of annihilation in Allah and being immortal with Him (Fana Fillah Baqa Billah) is mere imagination and conceit. 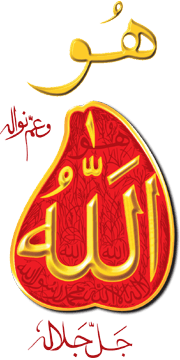 Possessor of Trust of Allah, who is the man of Divine Essence, is in fact the perfect spiritual guide. He is the light of Divine guidance. If a seeker finds such spiritual guide, then it is not hard to reach the extreme level of Faqr. The origin of universe is the eternal Divine love (Ishq) and creation of man is for its sake. When souls were created from light of Prophet Mohammad, they inherited the exclusive essence of Divine love from the Prophet. The passion of Divine love must arouse in the heart of seeker of Allah in order to attain Divine vision. In fact, the relation of soul and Allah is that of ardent Divine love. Without it, neither the soul awakes nor finds the vision of Allah. It is present in the form of a seed within the human being but is dormant. It awakes in soul by invocation and contemplation of Ism-e-Allah Zaat, its inscribing practice and attention of perfect spiritual guide. As soon as it awakes, the passion and attraction for Allah start increasing. Without following the sacred sharia absolutely, one cannot reach any station in the way of gnosis of Allah. All levels of Faqr are gained by the blessing of sharia. The beginning and finality of Faqr is sharia. The renouncer of sharia cannot even get close to the fragrance of Faqr. The perfect Fakirs of all eras have always abided by the sharia strictly. The veritable reality of sharia is gained only by travelling on the path of Faqr. Sharia is associated with the material world and its rules apply upon the physical body. As long as the physical body is alive, it has to abide by sharia. Negligence towards it will result in punishment.